I came across this post by Rupa Patel on the Quantified Self Facebook group about Epic Systems which is one of the largest electronic health record (EHR) companies in the US announcing an API. Apparently Epic Systems has more than half of the US population’s medical records stored on its system. Even more interesting is that founder and CEO Judy Faulkner is the only female CEO of all the major EHR companies and beyond that she’s also the only one with a technical background. If that wasn’t enough she also coded the original software and is one of the few self-made female billionaires on the Forbes list. You can read more from this fascinating Forbes interview where I got these details. 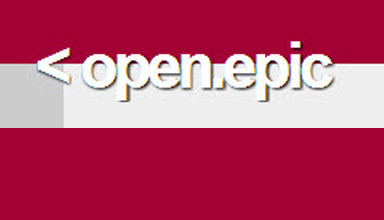 With open.epic, we’re helping incorporate personal tracking data with clinical records to drive better care. Here, developers will find the APIs, sample code, and implementation guides to put that data in the hands of clinicians. Together, we can create the connections to put this data to work. However it appears from this story that the API may be limited to only allowing one way writing of data to the Epic software without the ability to pull data. But as John Lynn points out in the story he hopes that this baby step at least encourages them to open up the API more. John also wrote this story on what a real open EHR API should accomplish. I’m not familiar with EHR companies and don’t know if any others have released an API but found this story very interesting. I currently have access to a subset of my health records online and even via a mobile app with my healthcare provider which has been nice. Epic’s statement about their API mentioning that they’re “helping incorporate personal tracking data” makes me think that we’ll have the ability to supplement our health records with additional data we may get from external sources to help paint a larger picture and even more accurately help analyze ourselves and pro-actively monitor our health. The healthcare industry is on the verge of some major disruptions with new devices, software and services that are innovating at a rapid pace. Today XPRIZE (disclosure: I’m an employee) awarded over $1 Million to 6 winning teams in the Nokia Sensing XCHALLENGE that are developing these future technologies. Below is a video showing the technology from the winning team. We are on the verge of some real breakthroughs to improve healthcare and the promise of open EHR API’s will be essential to help us get there even faster. A few other EHR vendors have announced APIs (SRSsoft, Greenway, Cerner, AthenaHealth, etc), but all of them are really basic. I hope this changes for them and Epic. Thanks for your coverage as well as providing this update John! This is completely new territory for me. It’s a really important topic. Thanks for the link back to my post. APIs are really cool, but healthcare has been really slow to embrace them. We’ll see how this changes over the next little while. I’d say Greenway’s API is pretty comprehensive actually. But that’s a fairly semantic conversation and in the end they can always add more. We’re still in the relatively early stages of technology and standards converging to let people build on this data. On open.epic though, I’m with you John. Sounds like there’s basically just one person running it right now (who is someone that’s been there for a while and knows what they’re doing, to be fair) but in general a lot of missed opportunity. Not that it’s surprising. Epic’s starting to interact with the outside world for the first time. And really the missed opportunity may be OK in the long run. What they should build is a strong developer community. There are many of those already they can look to for wisdom. Microsoft and Apple on the enterprise end, just about any startup on the small and scrappy end. They could learn a lot from GitHub too. If they build a community that developers from SF and NY want to step into, they’ll succeed. I hadn’t looked at the Greenway API for a while (plus, it was locked behind a login), but I found a way around the login to see the various Post functions they allow on their API. They’ve got a pretty good set of offerings there. I’d like to see more Update functions as opposed to the wall of Get functions, but I agree that they’re farther along than I initially thought. I recently came back from the Quantified Self conference where I met folks from Practice Fusion http://www.practicefusion.com/ which appears to be offering an EHR solution worth looking at as well. I know PF very well. Their API is currently only for connecting labs. They’ve talked forever about offering more, but it’s never come to fruition. Hi Mark–Practice Fusion has a number of APIs exposed for enterprise partners and independent developers. This is the true power of cloud EHR providers like us. Currently, we interface with labs, imaging centers, and billing systems via API, with many more to come.